We know how you feel. The constant headaches. The throbbing. The daily disruptions to work and missed life moments. The doctors who prescribe medication after medication with no lasting results. At Orthodontics by Birth, Stewart & Fletcher, we’re not only in the business of straightening and whitening teeth. We are experts in jaw alignment and muscles in the neck and face. Instead of masking the pain with drugs, we can get to the source of your pain with a simple, non-invasive, spa-like treatment called TruDenta. Developed by a neurologist, TruDenta combines sports medicine with physical therapy and has a 95% success rate. Treatment consists of a complimentary initial exam, temporary orthotic (mouth splint), and several spa-like treatments involving a cold laser and ultrasonic waves. 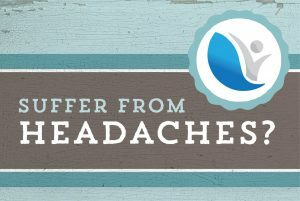 Throughout treatment, we will discuss in detail how your health habits and bite affect your headaches and do all we can to alleviate your pain. If you suffer from any of the following and are ready to get to the root of the problem, call us today to schedule your FREE consultation. We can’t wait to make your life more enjoyable and are ready to help you get back to a pain-free life! For more information, watch our interview with Randy Alvarez on The Wellness Hour.